There is plenty to celebrate this June. The month that marks the end of spring and brings us Father’s Day and the Queen’s Official Birthday to celebrate, and of course summer with the Summer Solstice of Thursday 21 June. 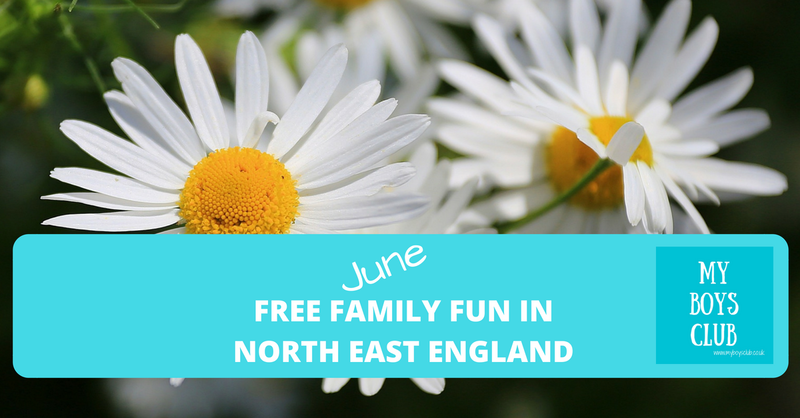 With free family events and activities throughout North East England in Northumberland, Newcastle, Gateshead, North Tyneside, South Tyneside, Sunderland, Durham and Middlesbrough - where will June take you this year? Don't forget our A-Z Free family days out across North East England or our A-Z of Family Attraction Annual Passes both with a handy location map! Celebrate...The Northumberland Miners’ Picnic 2018: a fun, family day out rooted in local heritage reimagined with a contemporary twist! Enjoy... a fantastic programme of performers on the Bandstand Stage. Discover... some of the regions most talented food producers and arts and craft makers in the Picnic Market located in the historic Workshop Galleries. Explore… Woodhorn Museum and the historic colliery site. Get creative at the pop-up art workshops and refuel at the café, food stalls and beer tent! Remember… the people, places and industry that brought us the tradition of the Northumberland Miners’ Picnic. Attend The Miners’ Memorial Service and find out more about our history in the main museum. Durham Regatta has its origins in the annual procession of boats, organised by the Sheriff of County Durham and the Rt. Hon. William Lloyd Wharton, in June 1815 to celebrate the ‘famous victory’ at Waterloo. The event included the ‘firing of cannon and a substantial supper with a plentiful supply of strong ale for the Waterloo men’. The annual procession of boats continued for many years, but Durham Regatta in its present form dates back to 1834, with racing taking place over two days from Prebends Bridge to Pelaw Wood. The regatta is the second oldest in the country, preceded only by Chester Regatta and pre-dates Henley (the “Durham of the South”) by 5 years. 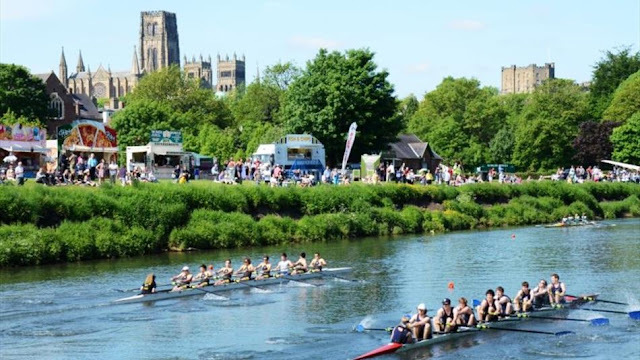 Today, the regatta takes place over both the 750m ‘short course’ and the ‘long course’ on the scenic River Wear in Durham City, regularly attracting in excess of two thousand competitors including international entries, and ten thousand spectators from across the United Kingdom. Head to Whitburn Methodist Church for a family fun weekend where you can enjoy games and activities, stalls and refreshments on Saturday afternoon and a special service on Sunday morning. This event is part of the Whitburn Summer Festival. Children's fun fair, live acts and food and drink and a large variety of stalls. 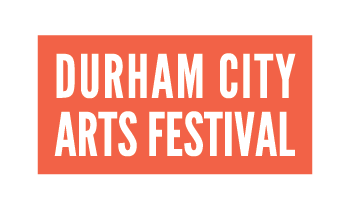 As part of the Durham Festival of the Arts this year, bigger and better than ever, Arts on the Green will include performances from brass bands, concert bands, world music groups, circus skills, cheerleaders, and more! As well as music there will be stalls for food, ice cream, face painting, crafts, and a family treasure trail. Bring your family and a picnic to enjoy a brilliant day of arts. A great weekend of live music, entertainment and some of the region's best street food and drink - all in the shadow of the Spanish City Dome with amazing views along the coast. Head to Westoe Village and enjoy lots of entertainment, refreshments, games, stalls and more. A three-month celebration which starts on Friday 22 June and finishes on the weekend of the Great North Run, Sunday 9 September 2018. On the evening of 22 June, visitors will experience the UK’s largest water sculpture from the Quayside, a brand new film about a journey across the North of England, music commissions and a live presentation by Lemn Sissay of his newly created anthem for the North. Get North Water Sculpture - The UK’s largest water sculpture on NewcastleGateshead Quayside will perform hourly (10am-11pm) every day of the Exhibition, with three specially commissioned soundtracks available to download. After dark, the performance will include a stunning light display. The Rocket Reimagined - The Rocket Reimagined at Discovery Museum: travel back in time to 1829 via virtual reality to experience the sights and sounds of the early steam age as the Rocket is digitally brought back to life. 21st Century virtual reality tech meets 18th Century innovation as Stephenson’s world-famous Rocket returns to its roots. Little Inventors - Little Inventors North 2030 at Discovery Museum - Check out the ingenious invention ideas of children of the North. Blue Peter Millenium Time Capsule - Blue Peter Millenium Time Capsule - will be at the Discovery Museum from 22-28 June. Don’t miss your chance to see what was inside the time capsule that made headline news in February last year when it was accidentally dug up by construction workers three decades earlier than planned. Lego Timeline of Northern Innovation - Lego Timeline of Northern Innovation at The Mining Institute sees local LEGO artist Steve Mayes tells the story of Northern innovation in over 40 intricate models, using 50,000 plastic bricks. 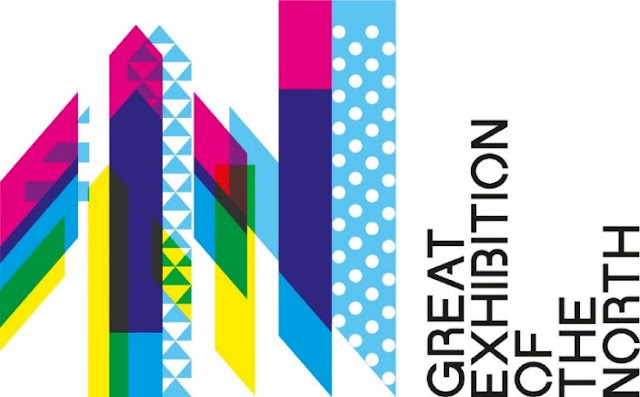 Which Way North at the Great North Museum - Which Way North (Full Run) is a visually bold, theatrical takeover of the Great North Museum which will take you on a memorable journey to experience the revolutionary North under one roof. This museum-wide exhibition is inspired by ‘The Blazing World’, one of the earliest works of Science Fiction published in 1668 by Margaret Cavendish, Duchess of Newcastle. Discover stories that take you to space with Helen Sharman, along Cumbrian valleys with Postman Pat, to the early days of Pop Art in Newcastle with Richard Hamilton, the last days of Liverpool’s John Lennon and to gaze upon George Stubbs’ world-famous portrait of the Yorkshire racehorse Whistlejacket. 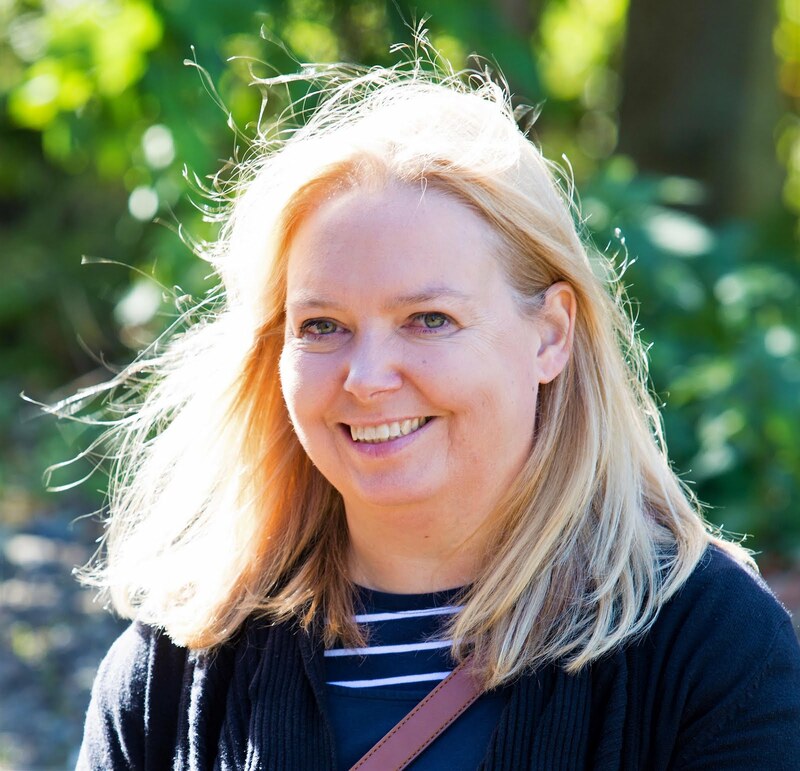 Winged Tales of the North - an art trail by David Almond in Ouseburn - Follow this playful and imaginative street art trail inspired by new flash fiction by David Almond – one of the North’s best-loved writers. As you’re led through the creative community of the Ouseburn Valley, you’ll discover a series of intriguing works showcasing the talent of artists, designers and makers from across the area. Admire stunning murals, marvel at new temporary sculptures and engage with artworks that spark curiosity and invite exploration. This visual and literary treat for the whole family is presented by Seven Stories and curated by artist Kate Drummond. Join us in Middlesbrough in support and celebration of our armed forces. Featuring the DooWop Dollies, traditional games, ballroom, salsa and ceroc, face painting, arts and crafts sessions, street theatre, wall climbing and an exhibition of military vehicles. Ahoy Matey! Have your Pirate costumes at the ready as we set sail for a free, fun packed day for all of the family. From learning how to build a ship to searching for missing pirate treasure there's something to entertain all of the family at Barnes Park this June. If you can't wait to see the Tall Ships when they arrive in Sunderland in July, why not pack a picnic and join them for music and fun in the summer sun! 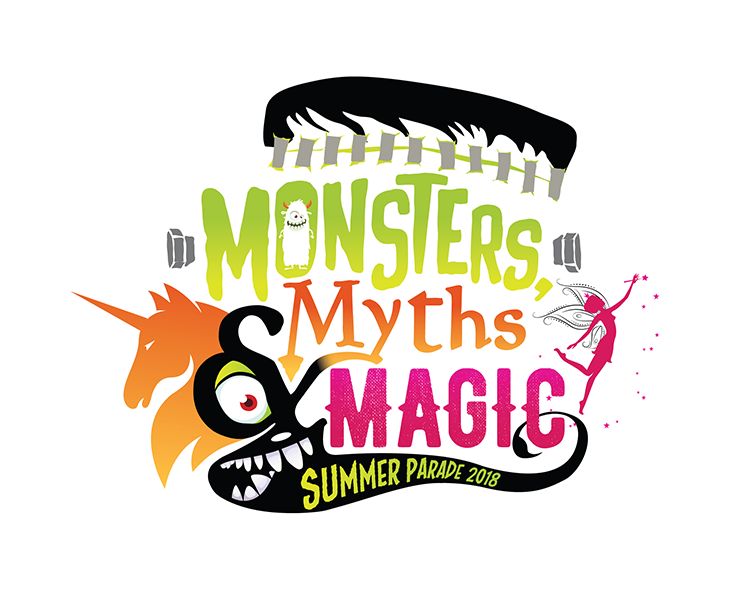 This spectacular Summer Parade returns with another fabulous theme – Monsters, Myths & Magic. Expect lots of amazing costumes, fantastic floats and lots of song and dance as the parade makes its way from South Shields Town Hall to Bents Park, where there will be even more entertainment all afternoon long. This year's festival will once again take place over two days with lots happening over the weekend. Saturday's events will be in the town centre and will feature live music, craft and food stalls, fairground rides, a classic car display and more. Wallsend Customer First Centre will also host a range of activities throughout the day. On Sunday, the free entertainment will continue at Wallsend Hall and Richardson Dees Park. There will be live music, stalls, a range of food and drink, fairground rides, street entertainers and lots more. 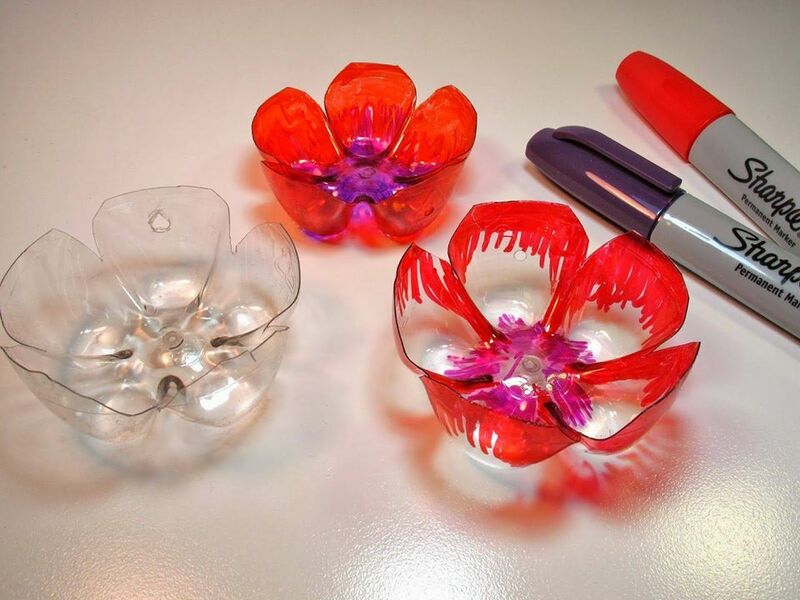 Drop in across the morning to transform plastic bottles into colourful summer flowers to bring some flower power to your day! The more loud and colourful the better!